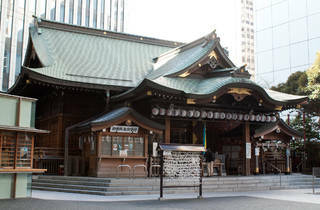 Now hidden in the shadow of Toranomon's skyscrapers, this shrine is an offshoot of Kagawa prefecture's famed Konpira-san shrine and was first established on the Marugame domain's land in the Shiba-Mita neighbourhood back in 1660. 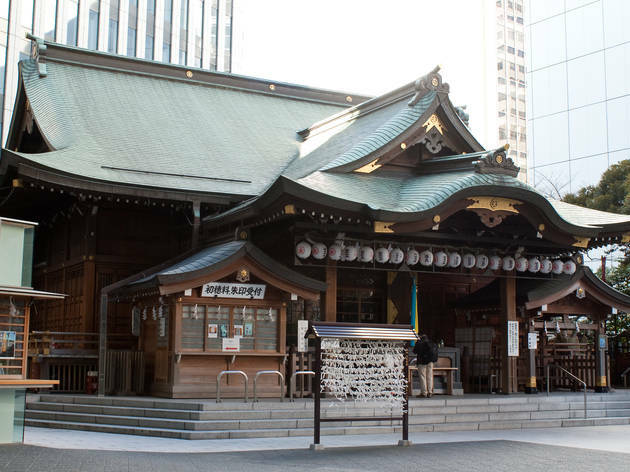 Moved to Toranomon 19 years later, it's stood here ever since and stocks a wide range of omamori amulets – including one that's supposed to help you get promoted at work. Fitting for a shrine mainly frequented by local salarymen, no?